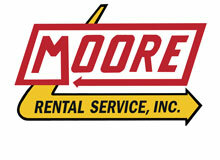 About Moore Rental Service Inc.
Moore Rental Service Inc. is a family owned and operated business that has been providing quality equipment rental services to Arlington, TX since 1959. Whether it is a DIY home renovation project, construction or landscaping job or just a weekend project, we have the tools and equipment to get your job done. Looking for party or event rental items for your special event or holiday gathering in the Dallas Fort Worth area? Moore Rental Service offers a great selection of party tables and chairs, tablecloths, tents, concession equipment, and much more! Our equipment is all in top working condition, to provide you all your needs for your home / building construction projects. Call Moore Rental Service Inc. today at (817) 277-1141.